5 days, 27 sites, 100s of Harvestmen! 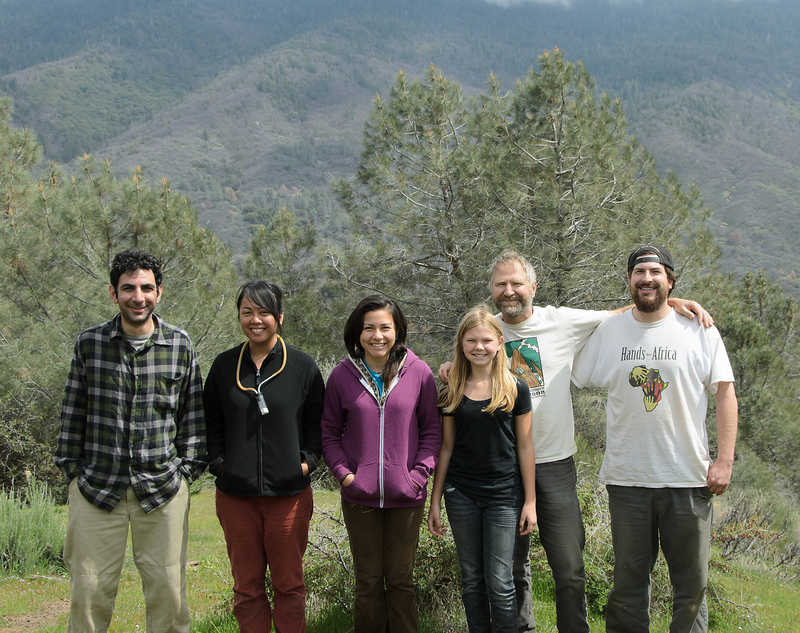 Just back from a Springbreak collecting trip with a crew from SDSU and UC Riverside. We traveled to the western foothills of the southern Sierra Nevada Mountains in California, starting in Tuolumne County, and ultimately winding (literally!!) our way down to Kern County. 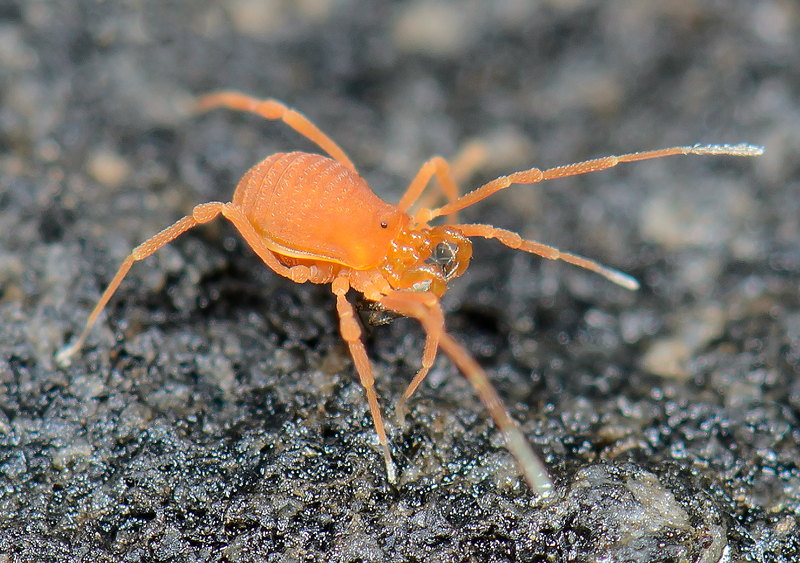 We were mostly after Laniatores harvestmen, particularly members of the phalangodid genus Calicina. Calicina is a truly remarkable genus, with many species, most of which are short-range endemic taxa. Almost all of these species were described by Darrell Ubick & Tom Briggs, researchers from the California Academy of Sciences. 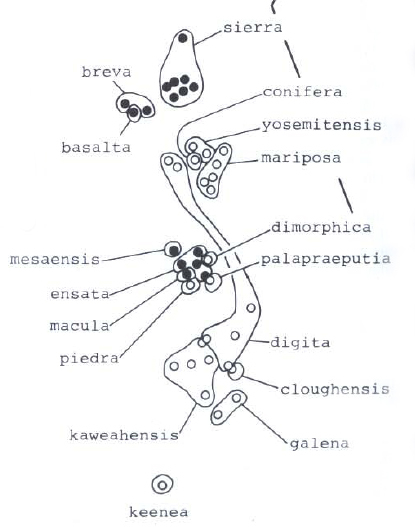 Below is a screenshot from the Ubick & Briggs revision showing microendemism observed in the Sierras. Similar patterns are found in the Coast Ranges!! from FIG 19, Ubick & Briggs, 1989. The harvestmen family Phalangodidae. 1. The new genus Calicina, with notes on Sitalcina (Opiliones: Laniatores). Proceedings of the California Academy of Sciences, 46(4): 95-136. Kristen Emata, a MS student in the Hedin lab, is interested in the evolutionary and biogeographic history of Calicina, and aims to tackle these questions from a molecular phylogenetic perspective. Our collections of fresh samples from this recent fieldwork will help greatly in this endeavor. 2 Responses to 5 days, 27 sites, 100s of Harvestmen! I heard some wonderful stories from a lovely young lady about this trip! And yes, I think you are sould mates.